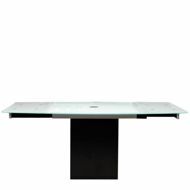 The BOMBAY Dining Table features an extension that nearly doubles the width of the table, without any need for extra storage. 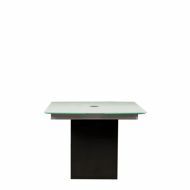 When not in use, the extensions smartly tuch out of sight under the frosted glass table top. 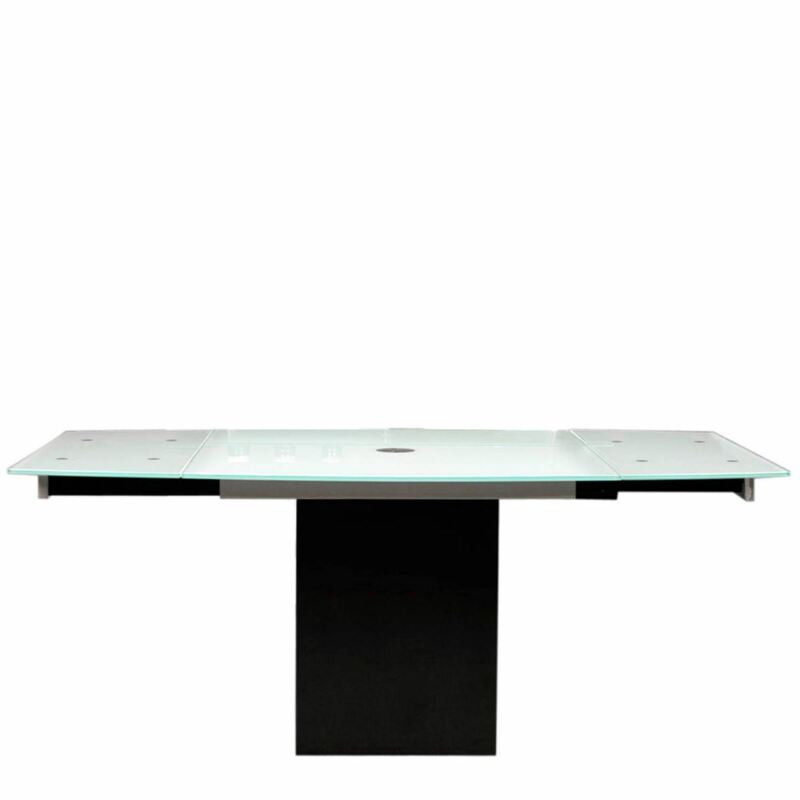 With a thick pillar of black granite as its base, the BOMBAY Table is sturdy, the 12mm tempered frosted glass top add to the fortitude of the table.